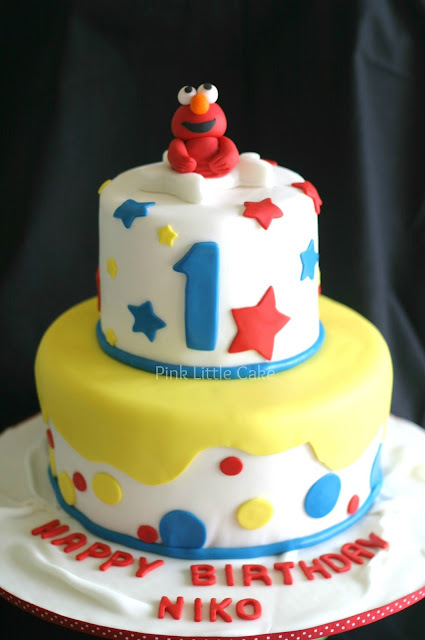 Two tier Elmo cake for a small birthday party. 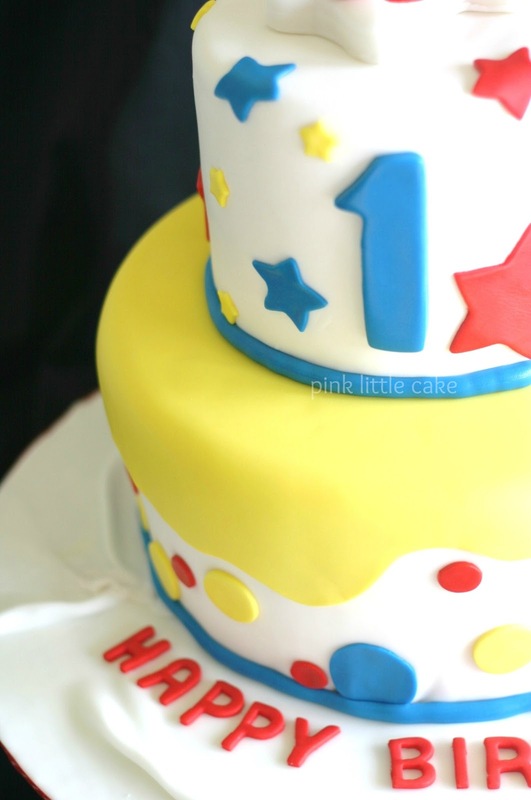 The cake is red velvet cake with Swiss meringue buttercream. 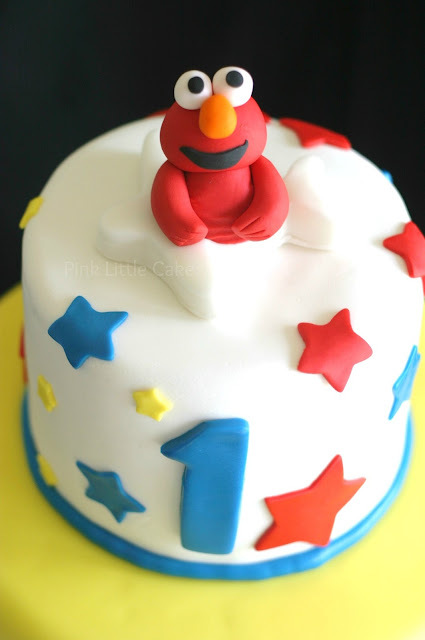 Elmo is made with fondant.